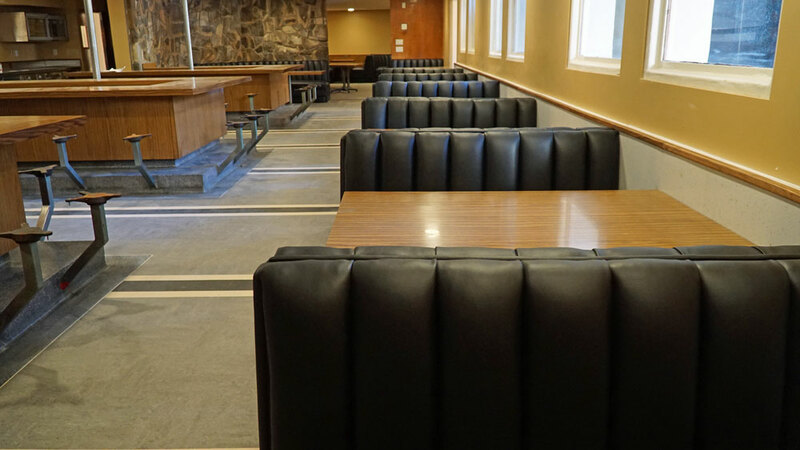 With WM Design you can get your Own chair with our custom-upholstered seating options. 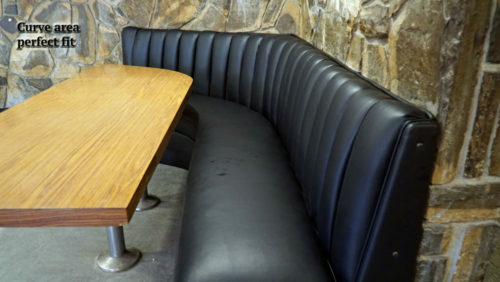 Our custom upholstery program provides endless design possibilities with a number of Style, texture and color options. Choose from our selection of chairs, sofas and benches, then add prints or tranquil solids and watch your vision come to life. It's easy to create a look that you will love. 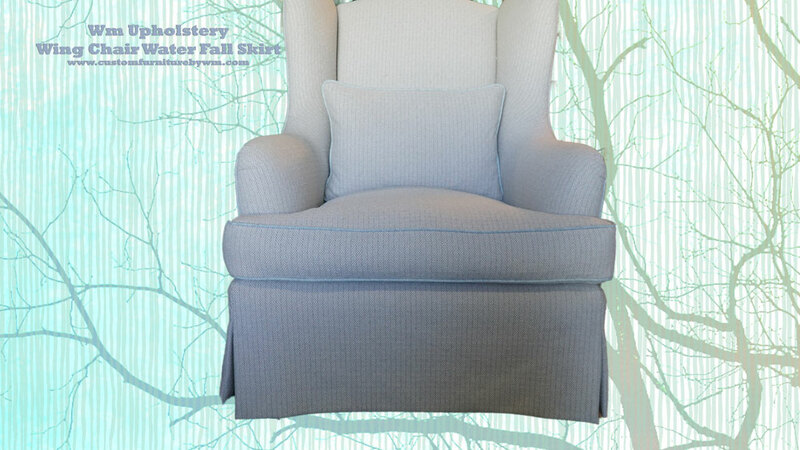 Browse through our Large selection of fabric options to create a stunning custom upholsteredChair that is perfect for your home. 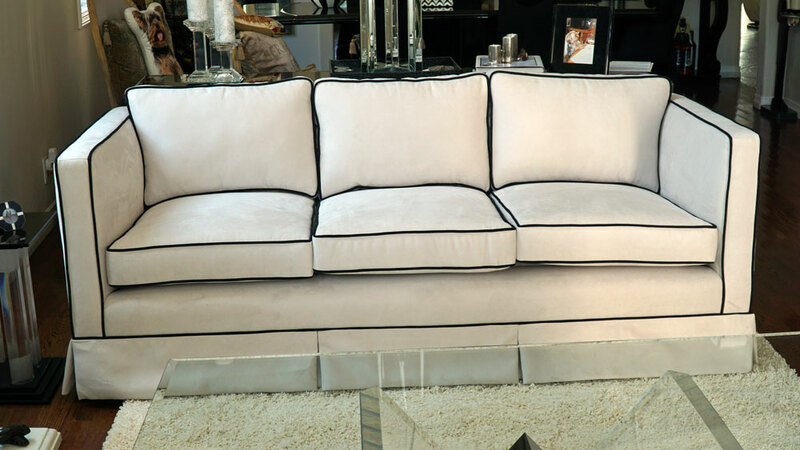 Custom Made Leather Sofa – Chris Aire Jewelry Beverly Hills, CA At W.M Design we continue to wow our customers in both their homes and in their business. 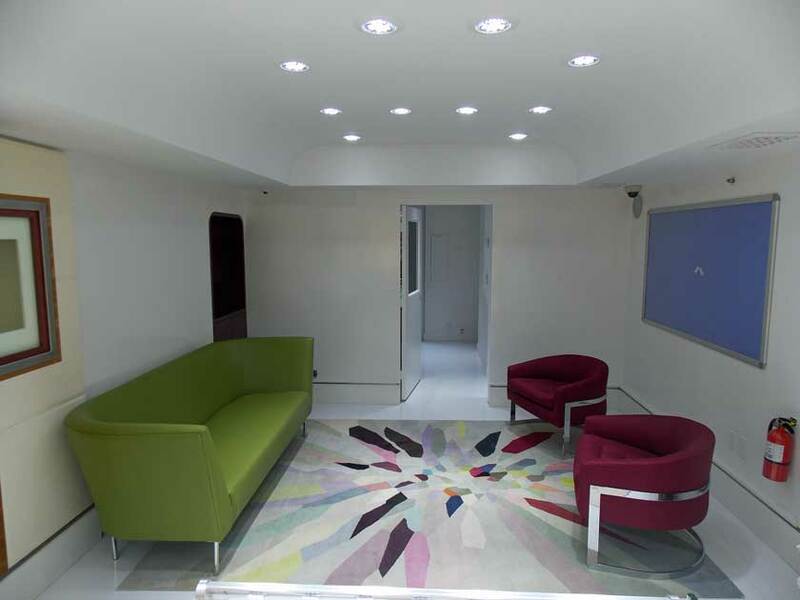 Here is one of many examples of our ongoing projects. 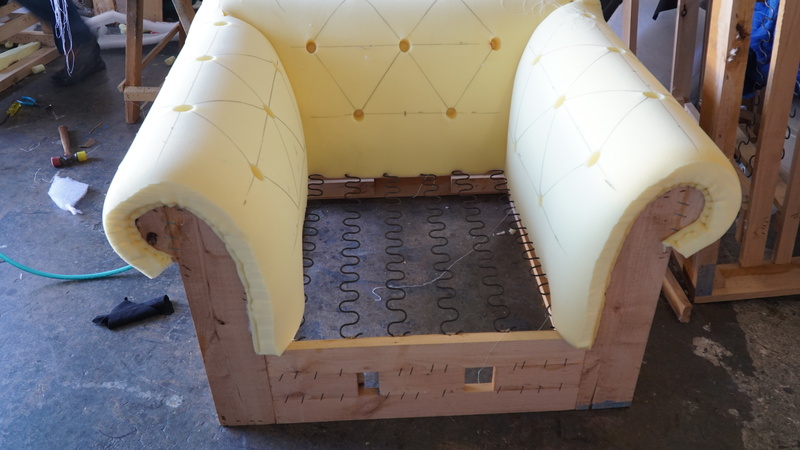 This custom build sofa was made for CHRIS AIRE JEWLERY in Beverly Hills, California, to welcome their guest with a unique waiting area. The frame was designed to fit the desire space requested by the client. 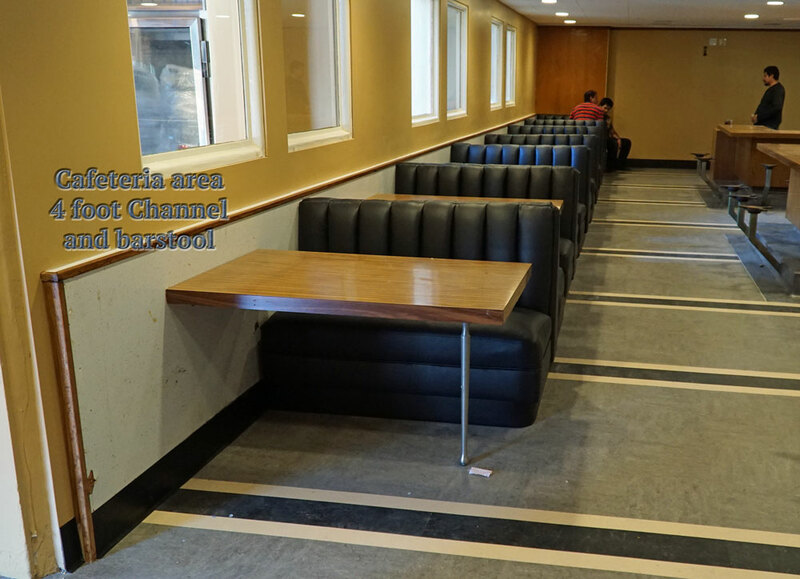 The sofa was upholstered with Olive color Garrett leather one of the top leather in the business, Two chairs were reupholstered with a burgundy color Robert Allen fabric to create a colorful and elegant space. 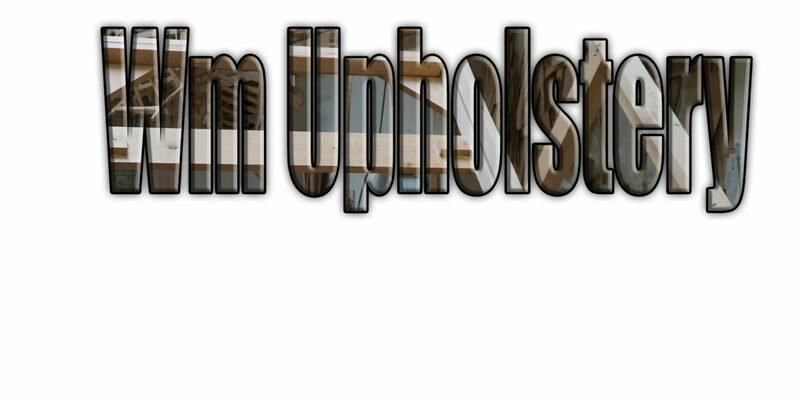 Upholstery service Van Nuys Our goal is to restore your furniture upholstery and customize it to your specifications. 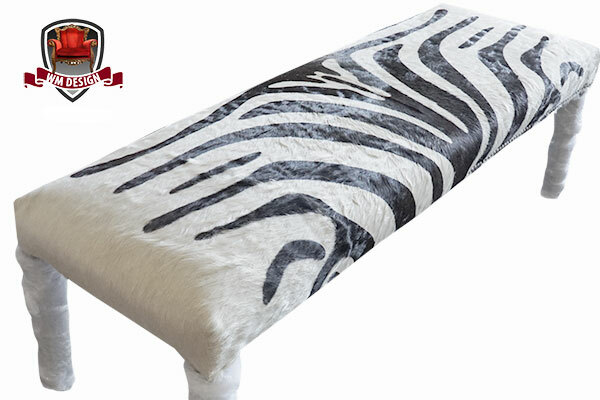 We reupholster with the highest quality fabrics and Quality materials. 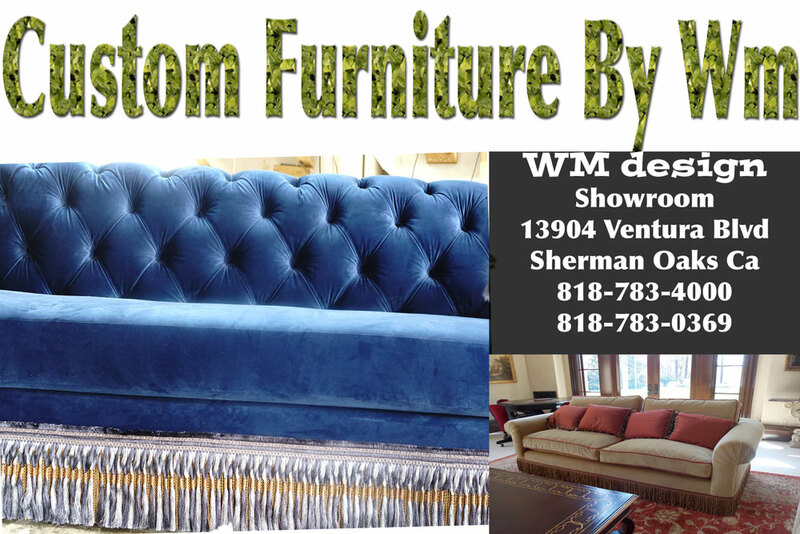 WM Upholstery specialize in creating and delivering custom upholstered Sofas from scratch that are catered to your specifications. 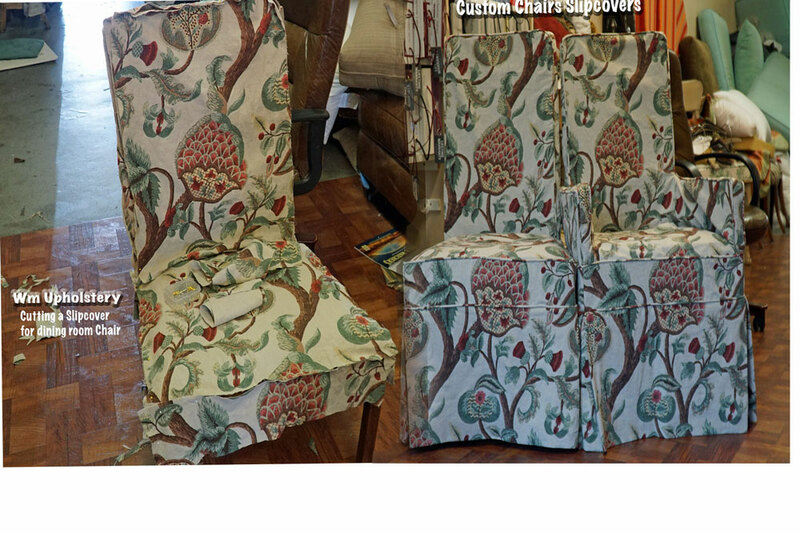 We did 10 slipcovers for parson chairs in woodland Hills Ca,Print cotton linen. 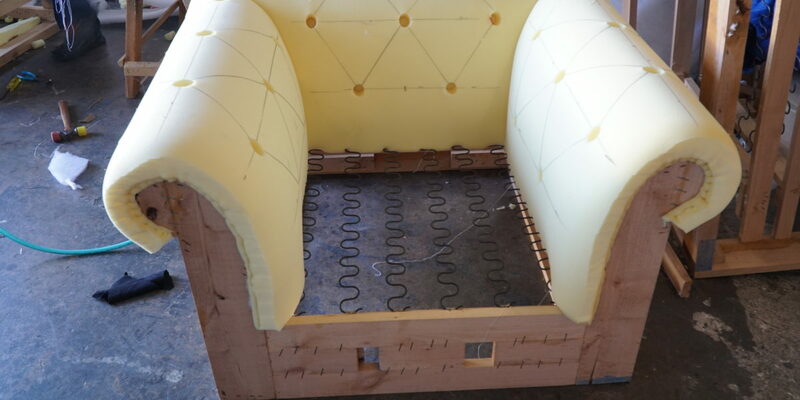 We cut the material on the chair to make it fit better,and pattern to match is not easy but the result are amazing as you can see in the picture. 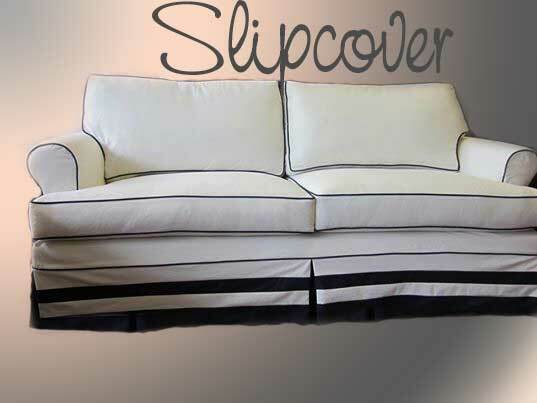 It is the best idea slipcover can be use occasionally,and can be washed any time. 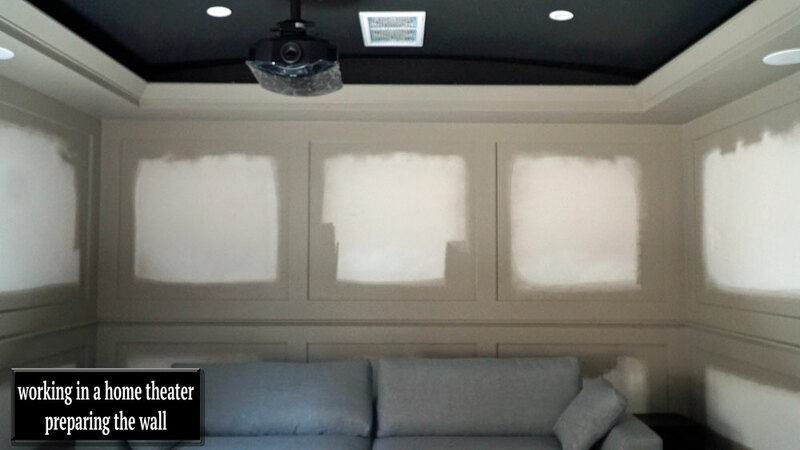 Most of Our customers like to change the look of their rooms with the season having one set of covers for summer and one for winter or change the covers for a holiday theme such as Christmas. 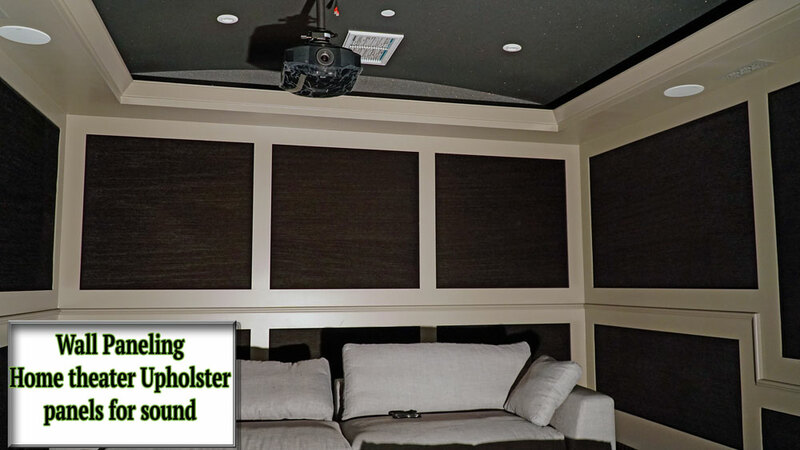 From time to time though, we actually take in some requests with the custom build-from-scratch slipcovers, Especially if a client shares the same idea of what a beautiful slipcover should look like. And of course, we’d like to say “Yes” to all of them and most of the time we do, Provided we have the necessary photos and resources to make one for you. 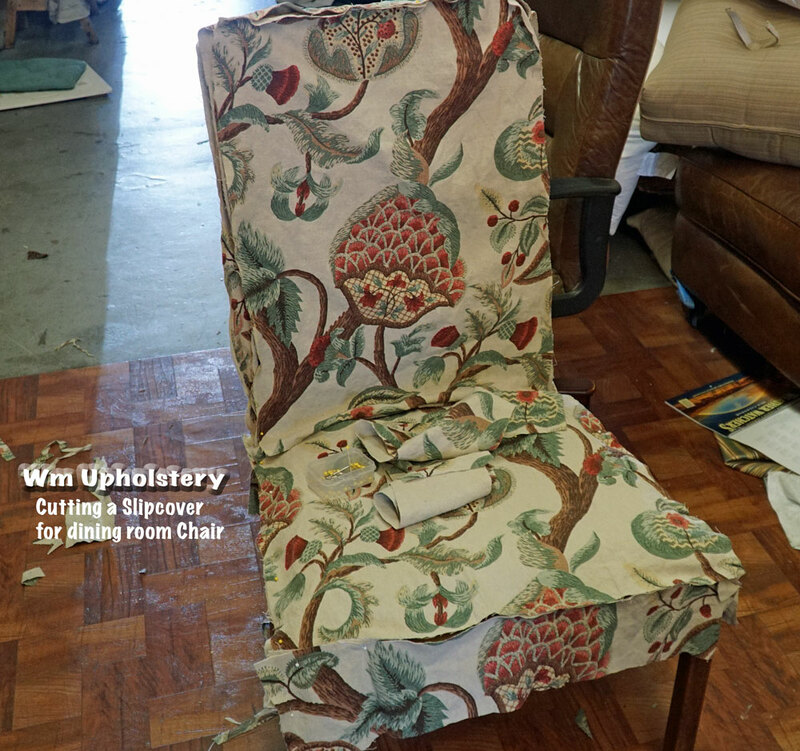 We are doing all the furniture for one of our Customers In woodland Hills reupholstering all the furnitures in the house. For the bedroom we design and Custom built a beautiful bed Headboard and rails. 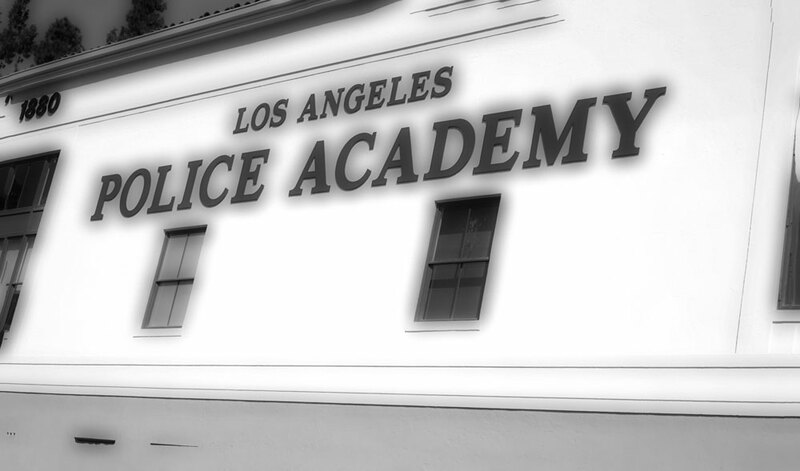 with a wingback chair in the corner of the room. For the living room a sectional and a antique side chair reupholster. 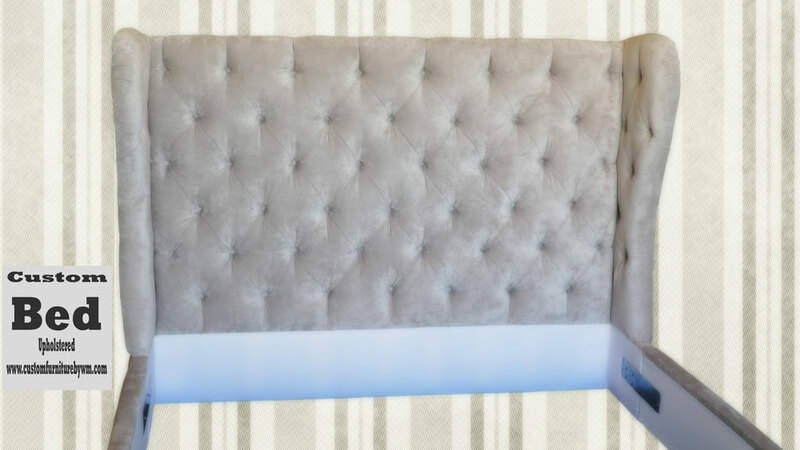 King size tufted Headboard with rails,with two small wings very traditional design Grey velvet -Padding poly foam and macron-alder wood Frame. 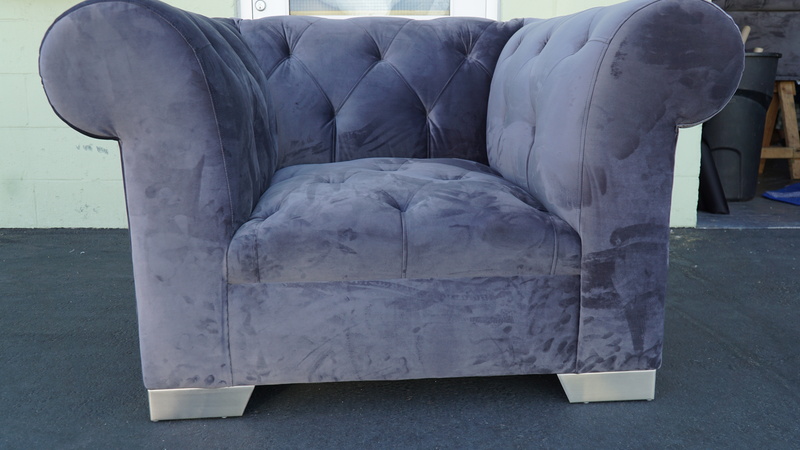 Win back chair for the bedroom full upholstered down fill cushions,and feathers pillow,this style it is called waterfall skirt,very tailored skirt drop from top of the chair to the floor very classic beautiful design. 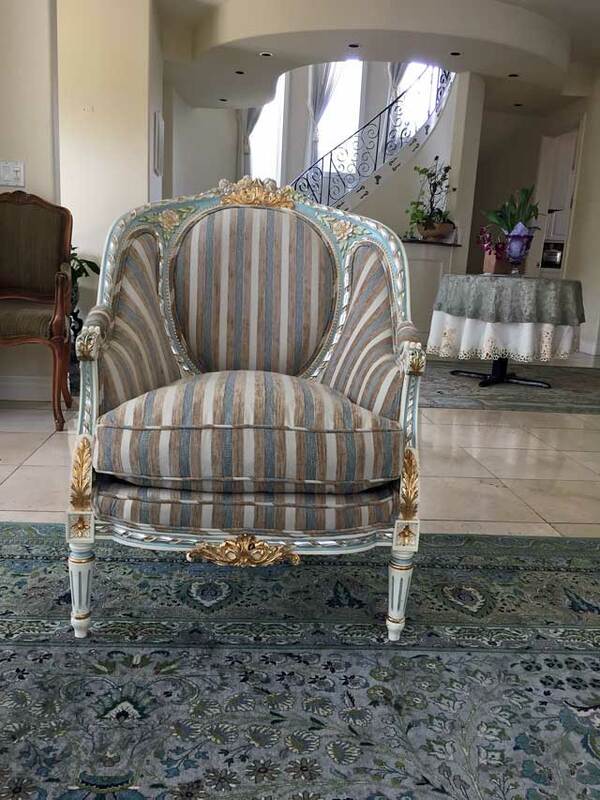 Antique Chair Reupholster for Living room - Woodland Hills Ca. 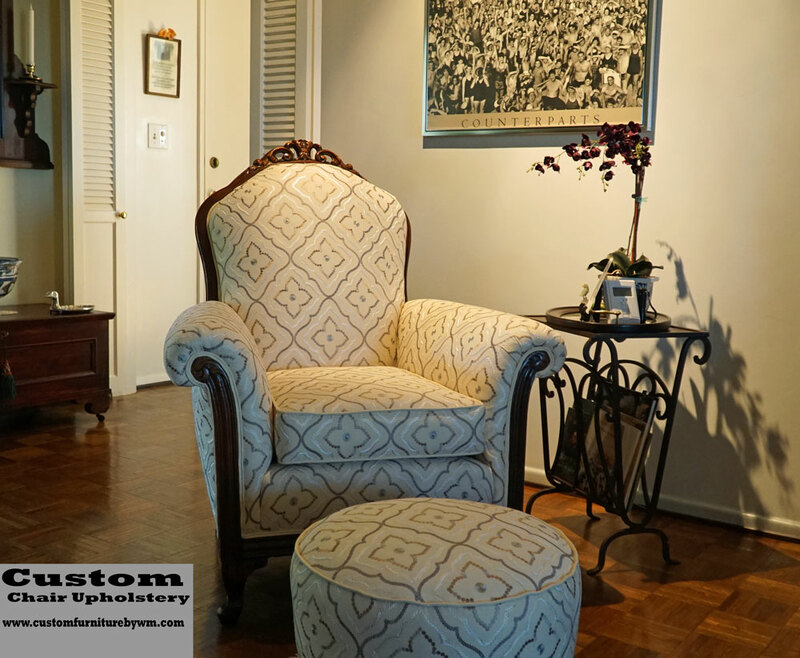 Antique chair reupholster and refinish,Unfortunately we do not have a before picture the this chair was in really bad condition we complete restore the frame,refinish and the upholstery it is a beautiful chair from the mid 50's it make the room elegant. 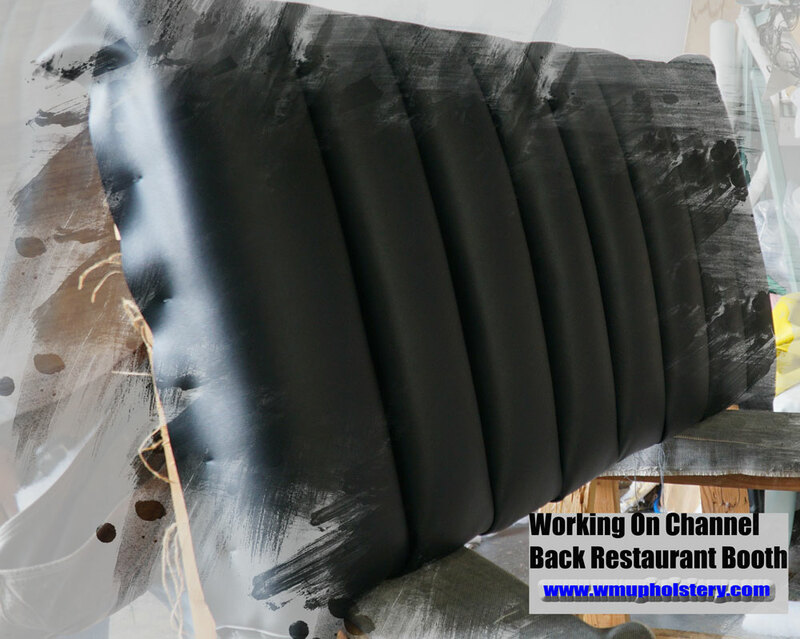 with a round stool to put the feet 100% quality work. 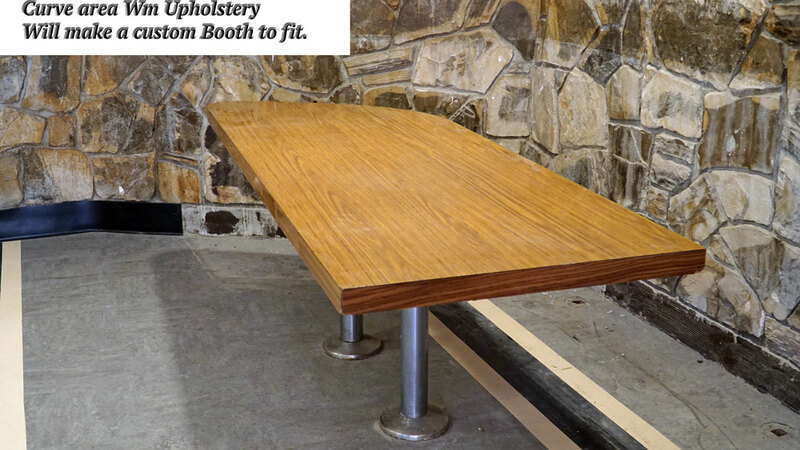 —A local customer from Sherman Oaks requested to reupholster this expensive bench for a mansion. 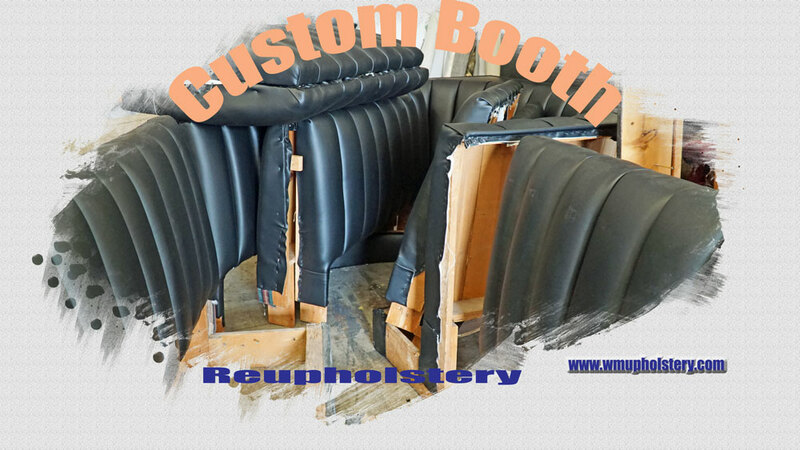 The project was made in about one week at our local upholstery shop.